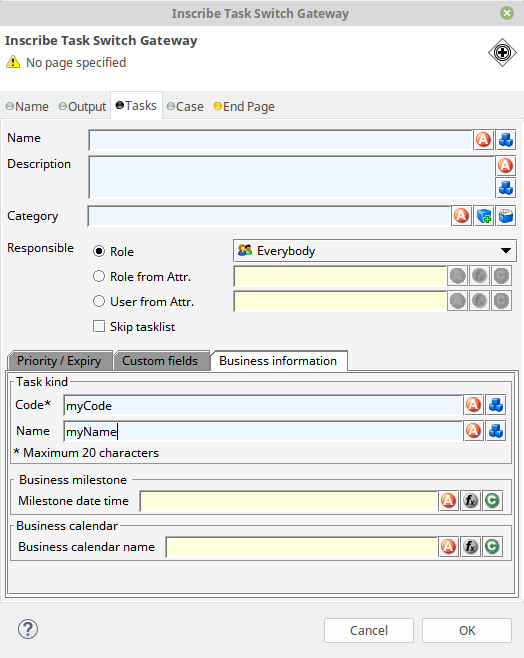 In the "Inscribe Task Switch Event" under tab "Tasks" there is a tab "Business". The first two fields are labeled "Task stage". Is there a Pulic API to query these two fields? The label on old Axon.ivy Designers is misleading and is called "stage" instead of "kind". This has been improved in newer versions. Hi Requel That's exactly what I was looking for. Thank you.